You must make reservations at least 5 minutes in advance of the time at Giardino D'Oro. Parking next door 7 gold street. Giardino D’oro offers an intimate garden-like setting and attentive service. The classic upscale Italian menu includes an extensive selection of antipasto, fresh rolled pasta dishes and numerous seafood specialties. Let us cater your next affair from an intimate dinner for 20 to a reception for 250! Nestled away on winding Gold Street in Manhattan's venerable Financial District, Giardino D'Oro is indeed a golden garden as its name translates. All that is charming about Italy comes to life as co-owners Benny Jakupaj and Nick Vuli welcome even newcomers with open arms. 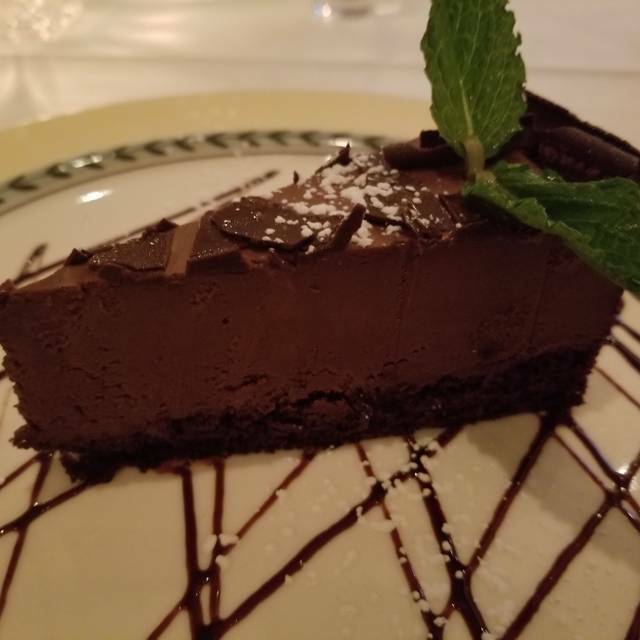 At Giardino D'Oro, food is indeed art with the fine Italian cuisine replete with antipasti, fresh rolled pastas, exquisite meat and seafood dishes, mouth-watering desserts, and an extensive wine list. 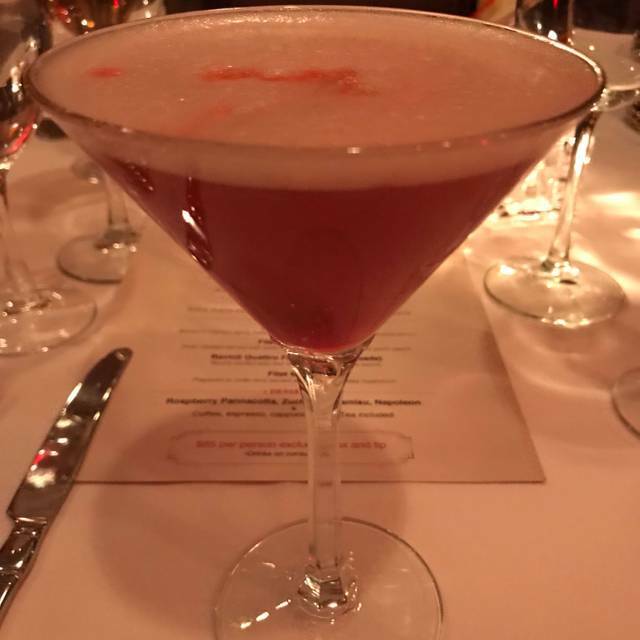 Attentive yet discreet service in an intimate setting with strains of Sinatra softly crooning in the background set the scene for power lunches as well as romance. 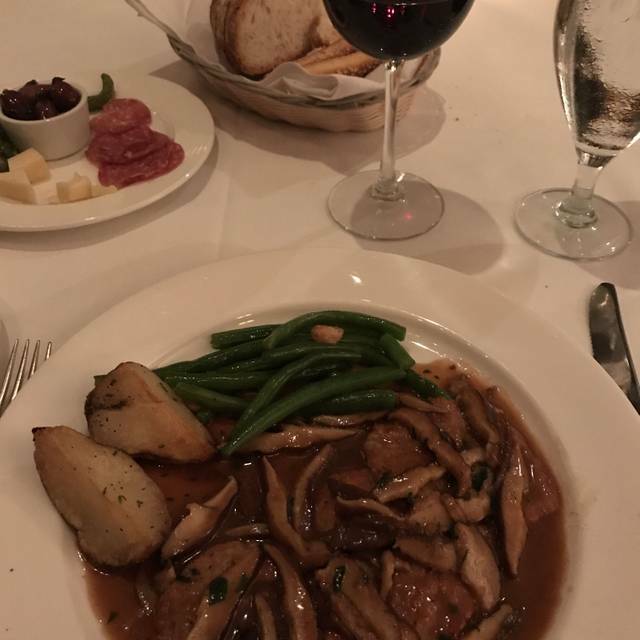 Boneless breast of chicken sauteed with wild mushrooms & Madeira wine. Some excellent food: the risotto and the jumbo shrimp were well cooked. The fra diavolo was bland. Good Italian food if you are on expense account. NOT a good value. Authentic Italian food with a very large menu. Staff very attentive and professional. A wonderful place that was recommended by a friend. Took my wife here for her 40th birthday and we enjoyed everything from begging to end. The service was impeccable, the atmosphere and ambiance we're ideal, and the food was superlative. Thank you for making our experience special. Food was delicious and the service was excellent. I will definitely recommend to anyone looking for good food and great service. The shrimp appeaser was really sub-par. The fish entree was AMAZING! Their zabaglione was disappointing as well. 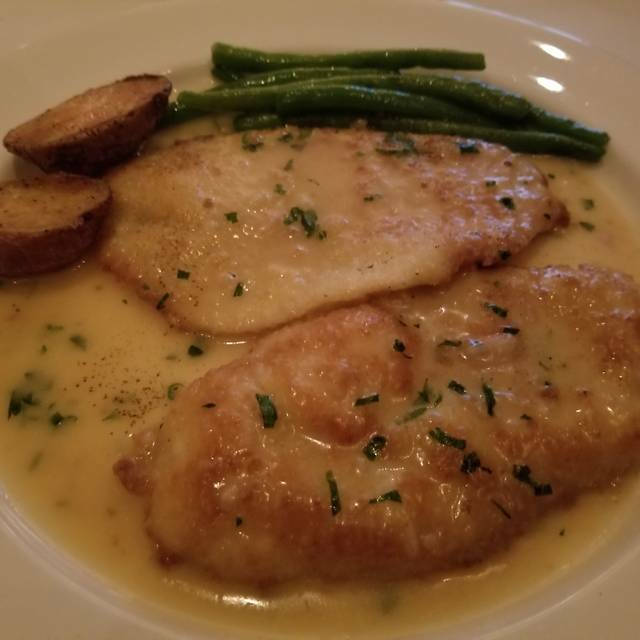 Dover Sole to die for! Went there on 2/15 with clients. I hadn't been there in a few years. It was absolutely outstanding. Simply outstanding. Food, service -- everything my clients ate, starters and entrees. Menu items and specials. Classic Italian food. Just a little pricey but absolutely worth it. Go there hungry and you will be more than happy! Thank you "Garden of Gold"! Excellence service I will remend it to everyone I know and even come back myself. The food and the service were both great. The lunch specials, however, were unreasonably priced. It’s nice to see how the other half lives. Great find in downtown NYC. Good food and good service. The food here tastes great and is served by professionals. Whatever you order will not disappoint you. Can get pricy very quickly though. Very professional and attentive service, while not being obtrusive during a business lunch, was appreciated. The signature salad with beets, tomato and avocado was excellent and quite generous. The nice antipasto served at the start is very colorful and tasty. Special fish was branzino and very well prepared (they take some time to debone it for you, though, so not if you're in a rush). Tables are far enough apart to afford easy conversation. My only criticism is the cold air that blasts in when the doors open, so I suggest they hang a curtain. I was tasked with finding dinner for my team from work. Another place was booked at our desired time, but luckily Giardino D'Oro popped up on my radar. The warm fresh bread, the cheese and metas, the wine...all superb. I opted for the fresh made noodles and veal, and I cannot describe the wonderful tastes and flavors. Amazing. Wish I could give more than 5 stars. Very nice Italian food that is always well-prepared and presented. Always a delight. A gem. Service was outstanding. Everyone made the night very special. Wow.. It is such a great place. I went to some other place. They claimed to be Capital, but service wasnt good, oh well. This is the best place in the Wall Street area. The food is great and it is complimented with excellent service. I HIGHLY recommend this place. When you have tried the rest, please try the best. I went with my family for my Dad's birthday. He had been there once before in 1987! Now about the restaurant - the outside is deceiving. It doesn't look like much but the inside is elegant and the staff is wonderful. Not to mention the food is delicious. Complimentary cheese, hot peppers, and soppressata. Amazing! The staff was so helpful with meal recommendations. You definitely get your monies worth and the portions are healthy. My one complaint - and this was just luck of the draw- there was an extemely rude group of women who acted as though they were the only people in the restaurant. Staff was very apologetic and recognized the situation. Everything was great - can't wait to go back! 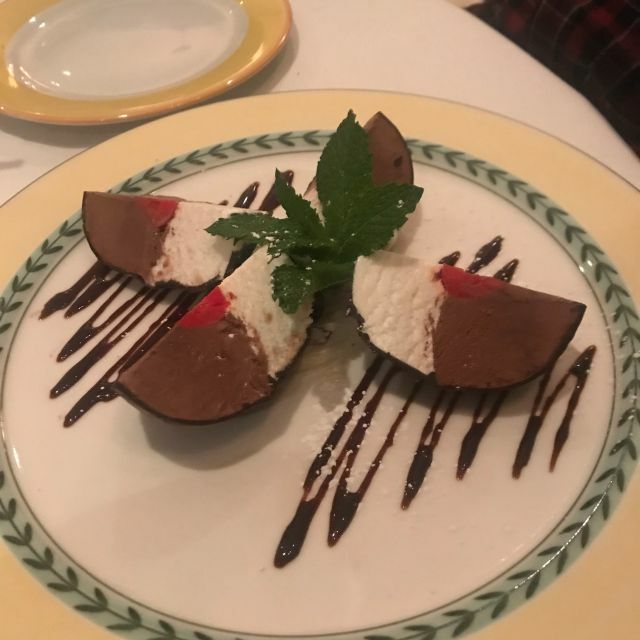 When server realized the cold air pouring in the front entrance each time a guest arrived was making dinner less enjoyable, he quickly apologized and made several offers to counter the unpleasantness: we settled for a comp dessert, but he doubled it! The food is absolutely delicious. Very much Italian the way it used to be. The fish is truly a star here and everyone I've recommended the restaurant to comments on how great it is. Love this place for business meetings or just to have a terrific meal. Excellent place, great staff & food. Love coming here for special birthday /events. Always excellent service and exceptional food with balanced assortment of special offerings. 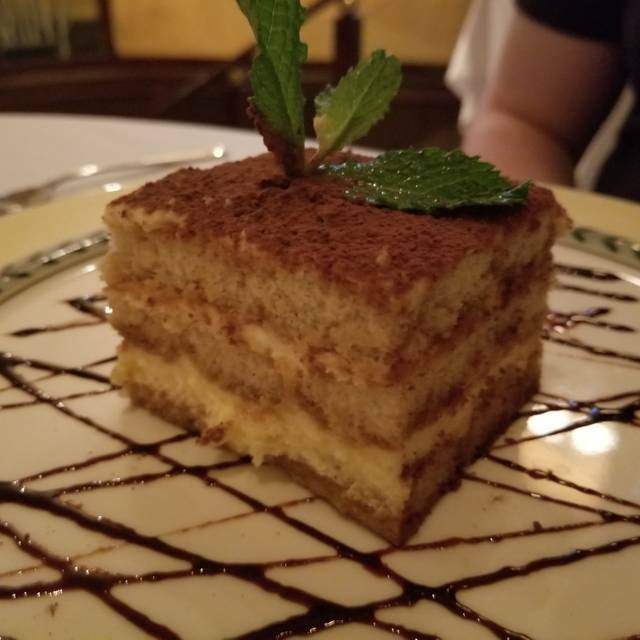 A friend and I went to Giardino D'Oro for the first time. I wanted to like it, as it's near my office, and it would be good to have a place nearby to takes guests for dinner. The dinner was good, not great. No specials were mentioned, or shown on the menu. Cost for the two of us, including one appetizer, two glasses of wine, two entrees and two decaf coffees, was $141, without tax or tip. Not terrible for Manhattan, but more than the quality of the food justified. Also it was a humid evening, temperature at least up to the mid 70's, and there was no air conditioning. Nothing awful, but no reason to go back. Food is good and the prices are not crazy expensive, but decent. I love how this restaurant is never noisy so its easy for you to chat and hear your partner. The table arrangements are good in which you can walk around easily, the space is a decent size, and I love the furnishing of the restaurant. It's a very cozy feel. I've been here twice now for dates and plan to come back in the future. The food and service were excellent. It was quiet and lovely. this restaurant was fancier than I expected, most people were wearing suits and dresses. The waiters were very attentive, and polite despite the fact that we came in thirty minutes before closing. 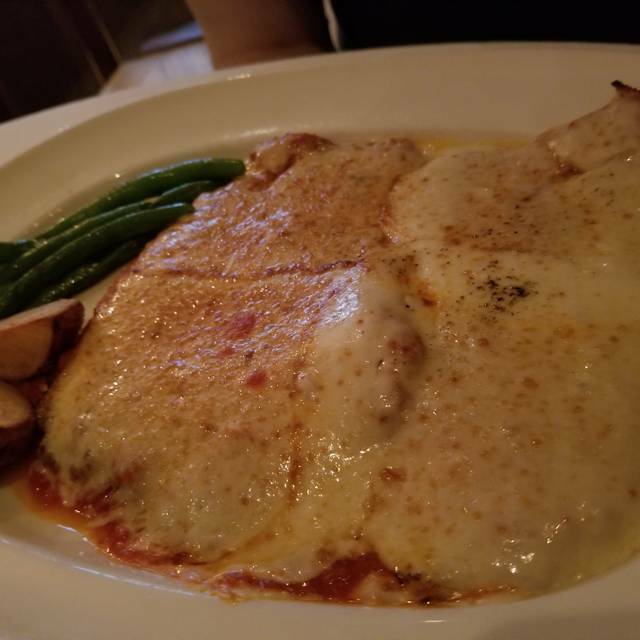 we were from out of town and I wanted to eat at a nice Italian place and it was the only time we'd be in that area for the trip. anyways the food was amazing. Food was awesome, pricy, but tasted very good. Would definitely go back. Exceptional restaurant with exceptional service. My go-to place any time I’m in NYC. The best! Sweet little restaurant in the financial district for a fine meal. Very attentive service and a nice bar/wine list. Just one caution: my colleague ordered the fish of the day(Dover sole) without asking the market price and we were shocked that his entree was $59. When most entree's run between $25-$40, this seemed outrageous. I guess the lesson is always ask the price of the specials. Delightful - sincere service and exceptional food. My 83 year old mom was thrilled and she is a tough customer. I would definitely put this on my "go to" for authentic Italian food but the specials went beyond the traditional pasta. A great place to get a bit away from the Financial District rush and have a relaxed business meal, or meal with friends. Fabulous food, attentive and professional wait staff. A gem in my book!